As September ebbed into October, I awaited a parcel from the capital. 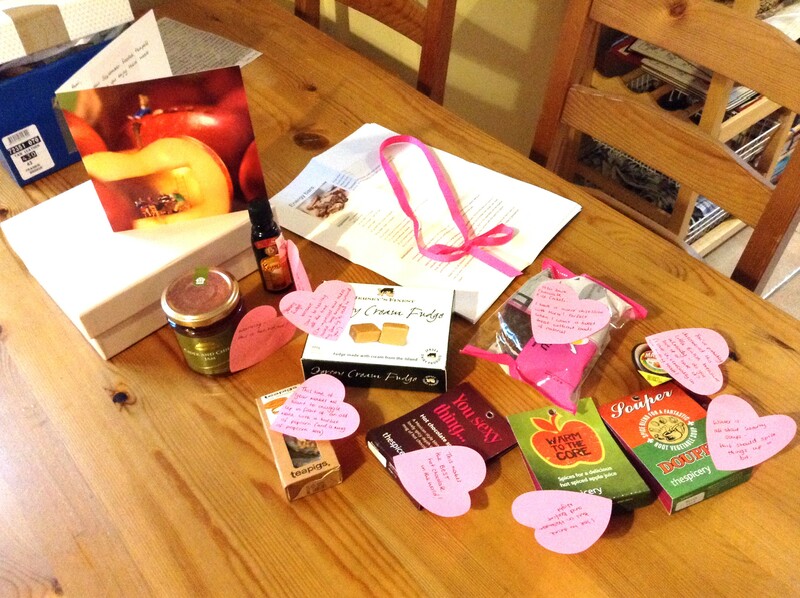 When Christine (Dash the Fashionista) made first contact, her kindness and enthusiasm gave me confidence that the foodie parcel she sent me was going to be incredible. After a stint in hospital − how inconsiderate − Christine sent out my goodies and the parcel arrived a couple days ago which means I’ve missed the ‘reveal day’, but I can honestly say that this was worth the wait − and, above all, I’m relieved to know that Christine’s time in hospital is over. You can tell that a lot of thought and love went into Christine’s parcel for me and when I was opening it it felt like Christmas morning, which surely is the point of this whole scheme. Beautifully packaged and with lovely little notes on each item as well as a nice card, it was all smiles as I unwrapped each treat. The first thing I have to say is that the psychic abilities of my two pen pals has been astounding. Last month Helen sent me bacon jam which I had been unsuccessfully trying to get a hold of for weeks beforehand and this month Christine sent me Itsu dark chocolate coated rice cakes only days after I had bought my first pack of them and fell completely in love. It’s both fantastic and totally bizarre that these two girls have managed to read my mind so completely. In addition to the delicious dark chocolate rice cakes, Christine also sent some other quite interesting things and some things which will be a perfect way to ease myself into fall. On the interesting side: cider and chilli jam which sounds amazing and I can’t wait to try some with a piece of strong cheese or with some roast pork! Also, popcorn tea which is green tea with some toasted rice. It looked beautifully, but tea isn’t really my thing so it didn’t really do it for me. That said, it was really cool to try it and now I’ve got another one to offer some tea-loving future guest! She also sent me some beautiful Jersey fudge from a recent business trip of hers, her favourite hot chocolate mix − and as it says ‘Mexican-style’ I think it’ll probably be a big hit with me − a hot cider mix and root veg soup mix from thespicery, a heart-shaped pot of marmite which my husband has already laid claim to and a few recipes. 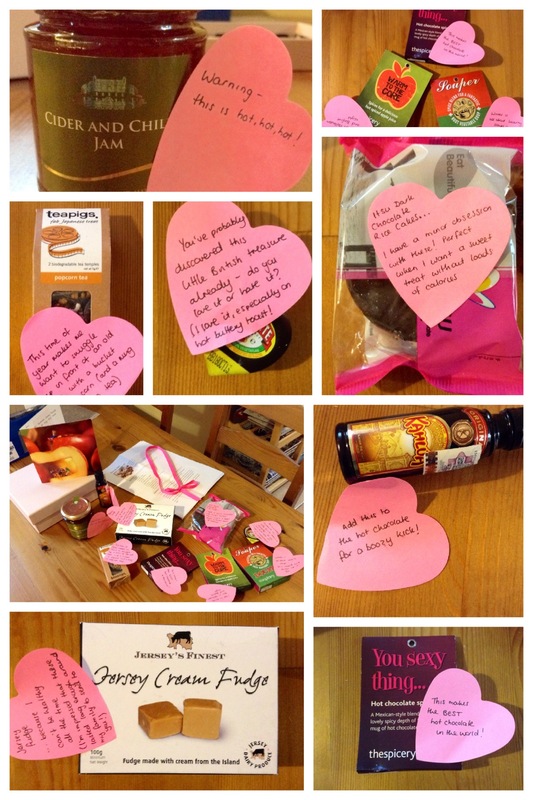 All in all it was extremely thoughtful and all looks SO delicious! I can’t wait to start trying things. Who knows what next month will bring! Wow! It’s nice to have pen pals like that, especially Christine who did an amazing job just out of hospital. Great package! I got chocolate rice cakes with coconut on this month and they were incredible. Wow, it must be a psychic foodie connection! This all looks yummy! 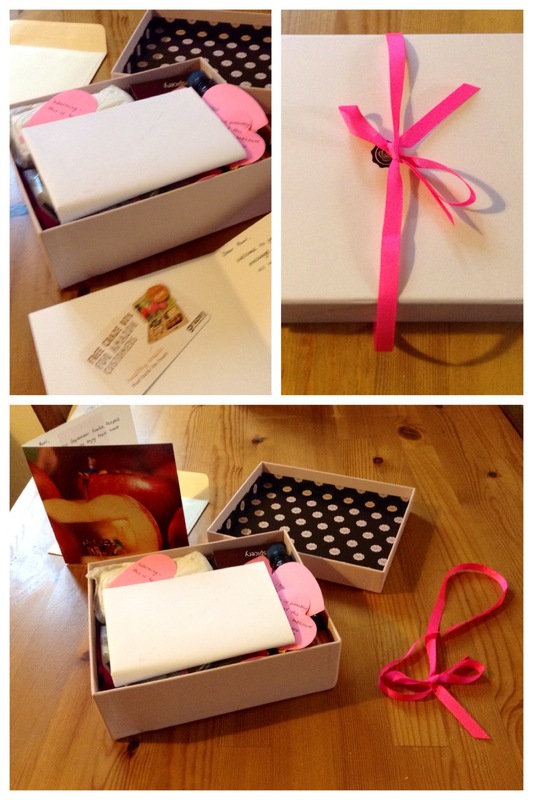 Christine is my Foodie Penpal this month- I can’t wait to see which treats she has in store!